“Undercover investigators film loggers taking huge tree trunks out of the territory of the Awá tribe. Vale’s efforts to expand the Carajás railway are one of many threats facing the Awá. So far, more than 30,000 people (300 people per day) have written to Brazil’s Justice Minister calling for him to do more to protect the tribe, who number just 460. However, “loggers, ranchers and settlers are still brazenly flouting Brazilian law. 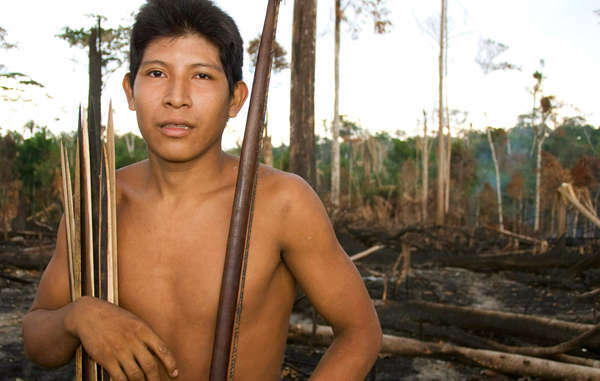 Despite assurances from Brazil’s authorities, the Awá’s way of life still hangs in the balance – we need action,” said Survival’s Director Stephen Corry. Please click here to act now to help the Awá. For Survival International’s contact info, please click here.